Wild, volcanic, and lush, the Big Island offers endless opportunities for scenic drives, as well as thrills for the adventurous. Big Island Honda is happy to help you plan the perfect daytrip near Hilo and Waoimea, right down to choosing the right Honda vehicle. Below, you’ll find some of our favorite scenic routes—all beautiful in ways that are special to the Big Island. Starting in Volcano Village, take Highway 11 west towards Kailua-Kona, then take the exit to Mauna Loa Road. As you climb the slopes above the Kilauea Volcano, you can stop to hike the mile-long scenic trail at Bird Park, glimpse old lava streams, and see the Mauna Loa silversword—one of Hawaii’s most beautiful and endangered plants. Kapoho Kalapana Road can be found on Highway 137 between miles markers 8 and 22, and spans about 14 miles. It snakes along the coast, taking you through the neon-green Puna district, past beaches and hot ponds, and through tree tunnels. The Hawaiian Islands offer uniquely colored sands; pink for Maui and white for Oahu. In addition to black, you’ll also find green-sand beaches on the Big Island. If your Honda has all-wheel drive, take the unpaved Road to the Sea and you’ll see one at the end. The Hawai’i Volcanoes National Park offers a scenic drive 18.3 miles long, beginning at a stand of Lava Trees. As you drive, you’ll pass craters like the Devil’s Throat, which formed in 1912 and is now about 165 feet deep. Once you reach Pu’u Huluhulu and Mauna Ulu, you can exit your car and hike past the Pu’u Loa Petroglyph Field, an active lava field, and more. Choose Your Own Adventure in a New Honda! 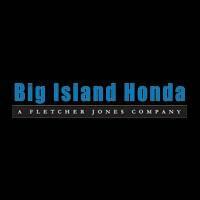 Big Island Honda, located in Hilo and Kailua-Kona, is a trusted source for new Honda vehicles, genuine parts, and Honda service. We’ll pair you with the right Honda for you, whether you’re braving sandy, unpaved paths, or cruising the quiet roads of Kamuela. Schedule a test drive today!